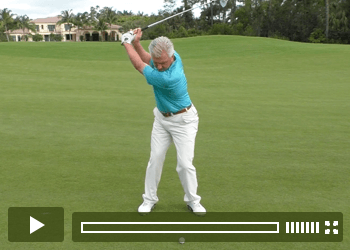 Want To Drop 5-10 Strokes Off Your Handicap? Get 7 Days of Access To The FULL Premium Scratch Golf Academy Training for only $1 and you'll receive 95 powerful lessons that will show you exactly how to hit the most accurate and consistent golf shots of your life. More Solid Contact. More Consistency. More Power! 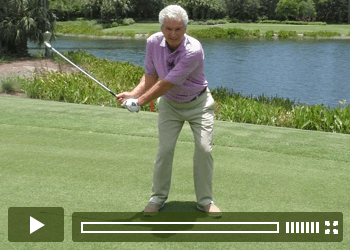 I’ll show you principles and drills to build a simple takeaway and swing plane, and take you through the dynamic pivot motion that gives it energy. Storing and releasing power in the downswing, as well as the role your hands and wrists play will be laid out step by simple step. I will take you through the set-up adjustments, as well as the storing and unleashing of power that comprise the backswing and forward swing. In addition we will go through drawing and fading the ball, and the course strategies that will help you select the right shot. I will also offer strategies on how to self diagnose your problems and how to practice them. 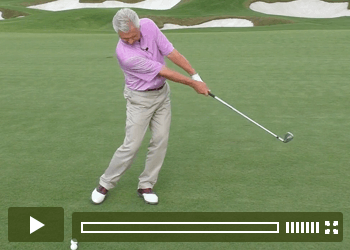 We'll start with the subtle modifications of the set up and backswing that are musts for consistent iron play. In depth concepts and application of properly hitting down on the ball, as well as providing drills to reinforce it. We will also discuss strategies for shaping your shots, playing in the wind, dealing with tough lies, as well as mastering par threes. 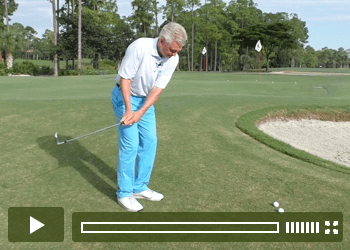 Principles of the set up and the basics of the short and long chipping stroke, as well as drills to perfect these techniques. Importance of club selection, handling different lies, and training your mind to judge distances and read variables. 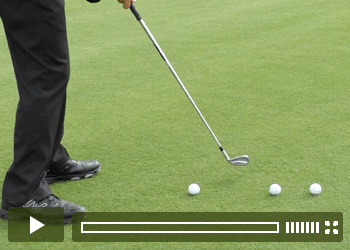 I'll also show you fun and useful shots you may not have tried, from the putter to the hybrid. I will show you how to set up, and the grips that are acceptable for a simple repeating stroke. I'll reveal an amazing insight regarding all important putter face alignment. 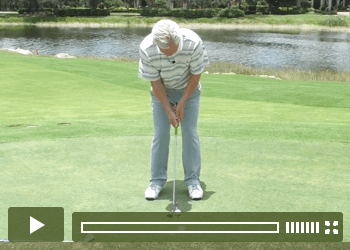 Once you've learned the basics of a sound stroke I will give you simple drills that you can do at the green and at home, that will help you master and maintain great technique. 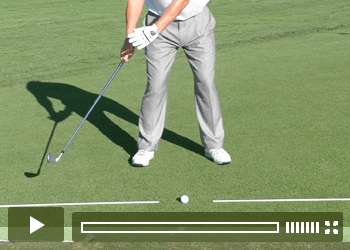 I will show you the simple geometry of the slice, how the ball 'tilts' and how to read your patterns. The setup and backswing tendencies of slicers I reveal are easy to avoid once you know them, and make progress so much easier. I will show you how you can fix your curve, and how it's critical to do that before trying to adjust your swing plane. I will show you why hooks are ‘better' than slices, that's to say why they can be part of the path to progress. 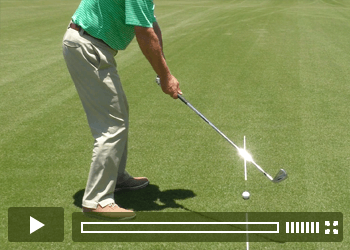 I will show you why, unlike slicing, you must fix the swing path first. 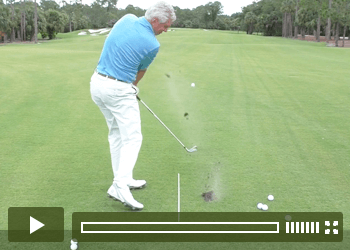 In addition to helpful drills, we will look at how to stop flipping the club face, and how working on your finish position can be especially helpful on the golf course. I will show you the two categories of tops, and how to self diagnose where you fit. Cures and drills to help with these problems, as well as the critical stabilization of the club and arms will be covered. Finally I will address the myth that looking up is often the problem, there is a grain of truth to it, but I'll give you the whole truth of the matter. We'll look at these, and show you how to self diagnose. In fact tops and fat shots have a lot of amazing similarities, it helps to know this, and I will demonstrate what these are. Finally I will show you how to work on each problem, and give you drills along the way. I'll take you from general insights on this most damaging and feared shot through the four most common types of shanks. You'll quickly recognize your tendencies as we go through them, and one common kind is one you may never have considered. I must credit my friends Bennett & Plummer, the founders of Stack & Tilt for showing it to me. Get 7 Days of Access To The FULL Premium SGA Video Training ($179.95 Value) For ONLY $1! P.S. 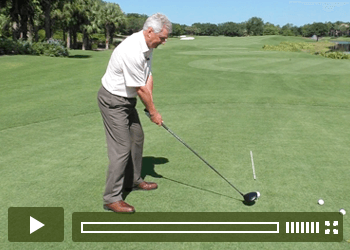 – If you want to gain an unfair advantage over your golf buddies by learning how to hit more solid, consistent, and powerful golf shots, and significantly drop your handicap in the process, then click the orange button above right now.